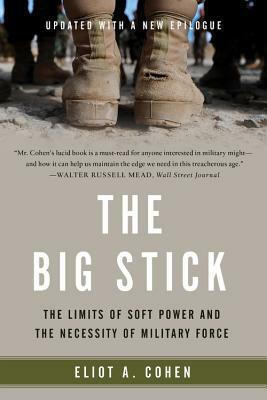 In The Big Stick, Eliot A. Cohen argues that hard power is essential to cope with the challenge of an ambitious and well-armed China, the continuing threat from violent jihadists, the rise of revisionist states such as Russia, and the problems posed by ungoverned areas from outer space to cyberspace. It is a clear-eyed account of what military means can and--equally important--cannot do, the lessons of recent wars, and how soft power can supplement, but never fully replace, armed force. Eliot A. Cohen is the Robert E. Osgood Professor of Strategic Studies at Johns Hopkins University's School of Advanced International Studies (SAIS). He is the prize-winning author of several books, including Supreme Command and Conquered into Liberty, and former counselor of the Department of State.